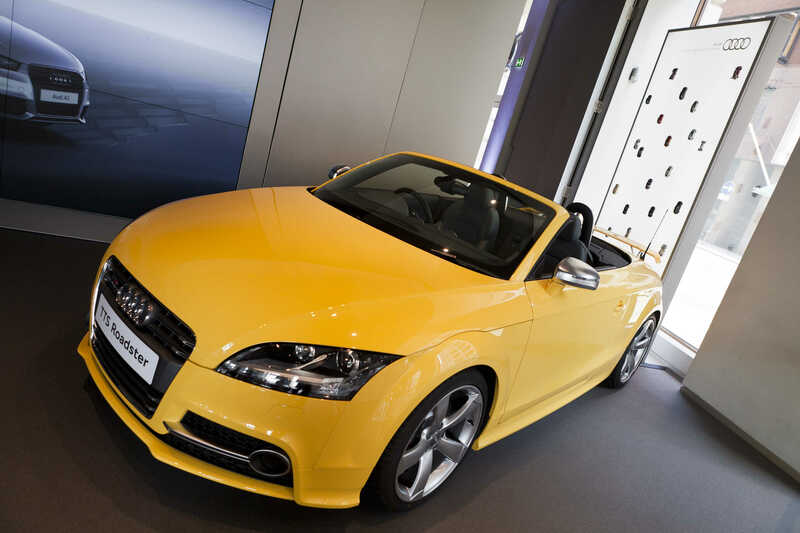 Design4Retail are so pleased with this retail execution at Audi City, the highly prestigious digital car showroom in London’s Mayfair. 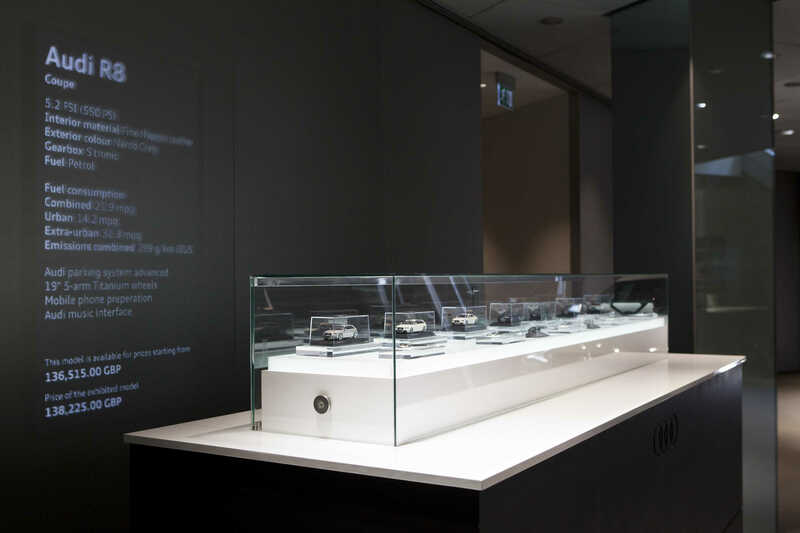 D4R created and installed a suite of retail elements to display the Audi collection products along with showcasing key campaign imagery and messaging. Audi City demonstrates a very cool experiential store design that blurs the boundaries between virtual retail and reality. The visitor can experience every possible combination of the Audi range. D4R designed and produced some impactful window displays, a showcase display table and a flexible retail space. 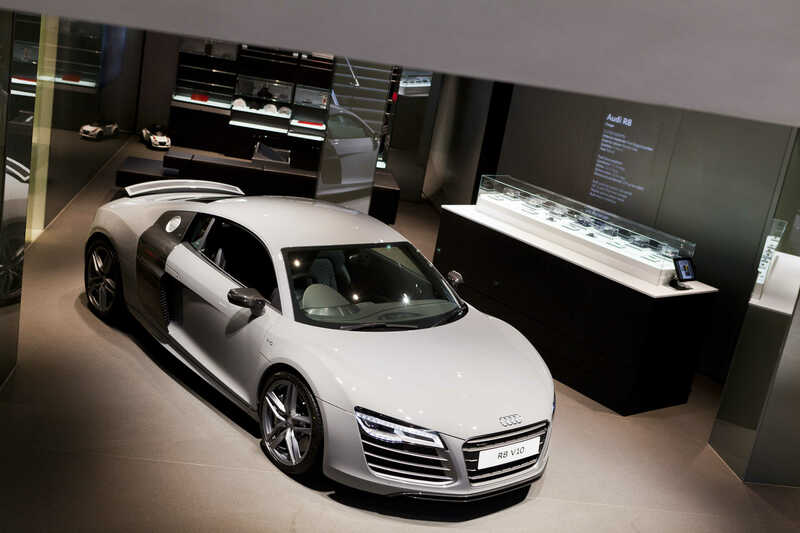 The installation includes new window elements that combine large format light boxes and showcases within the ground floor window areas and a larger shop in shop area in the lower ground floor area, which also features an enhanced event table area with integrated show case and iPad to explore the full Audi Collection. As you travel down the central staircase you enter an atmospheric lower ground floor where the visitor will find the D4R designed event table. The event table showcases a collection of scaled replica models highlighted in an illuminated glass clad central display.